Behind a psychedelic blue painted garage on Jessie Street, opposite much-loved brunch local, Prefab, you'll find another world - the world of Wrestler, co-founded by Ben Forman and Kat Lintott. Ben and Kat are taking on 'corporate' traditional media - and so far haven't done a bad job. Arguably a shining example of Wellington's 'power couple' (if we took ourselves seriously enough to have them!!) 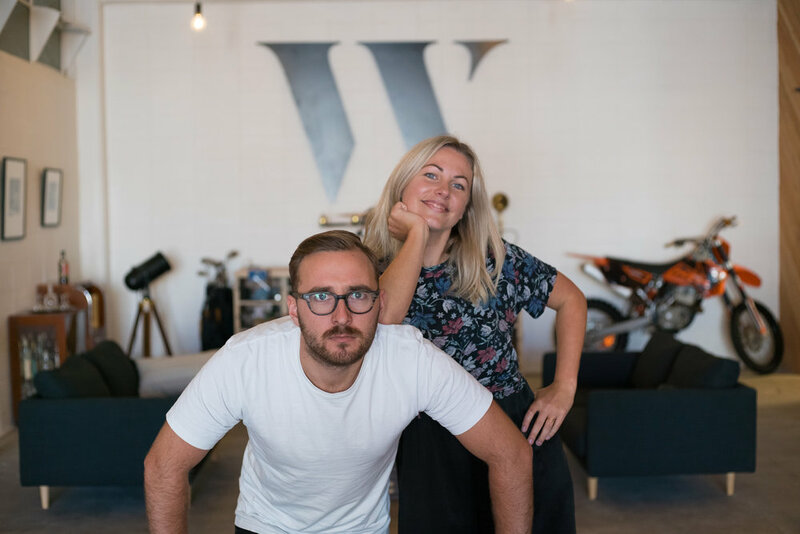 Kat and Ben have developed a business producing some of the most interesting content around Wellington and beyond. These two are young and hungry - and ready to roll, like Super 8 film. Self-described as simply 'a content company', Wrestler is a video production company and creative agency who produce cool content for brands. They also are at the cutting edge of virtual reality production in New Zealand and recently opened an Auckland office. Not bad for an agency that sits inside a garage (although it's the fanciest garage of all time, created by tomahawkmade.com). Wrestler has several points of difference - partly that it's so young. This gives it a fresh focus and work, very often, with fresh brands. Wrestler has done work with Allbirds Woolen Runners, Ecostore, Kiwibank and Trade Me (I blogged about Allbirds here). Everything Wrestler make is built around a human truth - which is clear when you watch their videos. "We don't make content we don't believe in. We use technology that's available - and match the right technologies with the right stories" they explain. Ben and Kat are dream chasers, and where some might stop - these two keep going. "If you know what your dream is, you're so lucky" Kat says. "Chase that dream - there's nothing to lose. Our real dream is to make an un-learning retreat where people can come together and deconstruct the things we've been shown to think, always overthinking things!" Pop your email in the box below for a handy weekly round up of blog posts. WHAT DO THEY LIKE? HOW DID THEY GET HERE? Benjamin Forman was born in Upper Hutt. He says it was a great place to grow up "I rode my BMX everyday. I went to church. There wasn't much ego growing up. My best friend Dave and I grew in confidence together. We had each other and because of that we couldn't really fail. A great friendship can be like a great marriage. I felt like I could take risks because I felt like I had someone who would always support me" Ben says. His father is a printer and his mother has always worked in insurance. Growing up, Ben was a part of the church. His grandparents were dutch immigrants who were conservative Christians. Ben imagined becoming a teacher or an engineer when he thought what he would be. But despite this, Ben was always a creative child ("I made up a character called 'Super-Undie-Man" and then played being a business man) who longed for his own space. "I think that's why my idea of success was to have my own place, my own office. I used to pretend to be a business man because my dad had a spare office, and I'd shuffle papers as a kid. It's one reason I love where we are now" Ben explains. Ben fell into filming after he realised he wasn't as good at BMX as his friends. "We'd BMX a lot - my brother and Dave were really good - so I thought if I was filming them, I could work around not having to hurt myself." Ben borrowed his parents old school video camera which was big and clunky. He then upgraded to a camera he bought off Trade Me to take with him to the skate park "which died in two minutes" Ben laughs. "But in those two minutes, we got really excited and made a Zombie film. We caught a bug of wanting to make little movies." In his final year of school, Ben and his friend Judah would skip study period to go and make rap parody videos. "I didn't realise but Judah was really smart." Ben says "I thought we were going down together - so I failed high school. The videos took off a little bit though - and people would see me at places, like the bathroom at Mish-Mosh, and recognise me from that." By contrast, Kat was born in Singapore and went to international schools. She loves Wellington, but growing up her family were constantly moving because her family were in the air force. "That made me very addicted to change. I'm always attracted to shiny things. I had to learn to be resilient because I'd always need to make new friends, wherever I went. Moving cities doesn't phase me. Change does not affect me and I associate risks with good things happening." Wellington, however, has always been a base for Kat. She studied at both Victoria University and Waikato University. 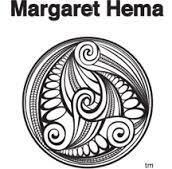 She worked for Morrison Co and then went to work for Wellington Airport. "I was super ambitious" Kat explains. It was around this time, Ben and Kat met. On that first night, she asked him what his 5 year plan was. "I thought she was super intense" Ben says. "I thought it was impressive enough that I'd started my own company [which was before Wrestler and specialized in drones]. So I asked her to come on board. We were business partners before we dated. Eventually, I wooed her, and we chose the relationship over the business." After their relationship blossomed, they went on a grand tour overseas for a year together. "We swapped accommodation and food in luxury hotels for videos” explain Ben. On arriving back in New Zealand, Kat went to work for a company called 8i, which specialised in Virtual Reality. Ben became restless and decided it was time for a change from making video after video. He started to find contractors. After Kat found herself at a loose end at 8i when they moved communications to the US, they decided to work together full time and, in the same year, to get married. WHAT IS IT LIKE WORKING TOGETHER AND BEING IN A RELATIONSHIP? Kat admits she was nervous that they would fight. "We'd had one fight overseas where I wanted to buy snacks and instead Ben went up the escalator and wouldn't come down" she laughs. "Don't put that in!" Ben and Kat decided that they would agree to talk things through. If it didn't work out, Kat would go back to her old corporate career. For their wedding, Ben gifted 50% of the company to Kat. "It was a huge sign of what Ben is like" she says. WHAT ELSE DO THEY LIKE? “Eating out, eating at home, long discussions and eating” they say. "You don't have to wear makeup every day" Kat laughs. "It feels like the whole city is home" says Ben.